Very good option for families, very clean and close to e everything you need Great value for money! We liked the room. It was very big and clean. We also liked the man of the reception. He helped us to find a restaurant and he was very funny. The apartment was really super clean and this means a lot! 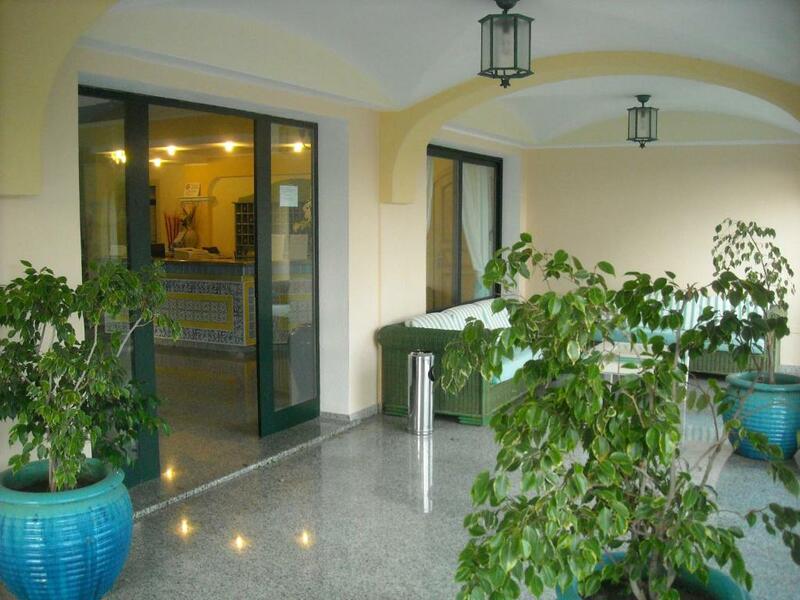 The apartment is comfortable with nice equipment and it was a pleasure staying there :)We recommend it. Good value for money, including in the middle of the season. Very nice rooms and good breakfast! Hotel is really nice and confortable , the appartment was clean and full space. The personal was kind. We had great time! We received very big and comfy room (big bed, spacious bathroom, nice kitchenette). The apartment was well-equipped: new furnitures, cooking utensils, dryer and bathhroom cosmetics. The beach is 15 min by foot - you could find there many bar and restaurants (f.e. Ziu Jacheddu). The rooms are exceptionally clean. They are exactly as on the photos. The kitchen was very well equipped and you can find anything you need (pots, pans, cutlery etc). It is a very quiet area and not far from the beach (5-10 min walk). There’s also a free parking. 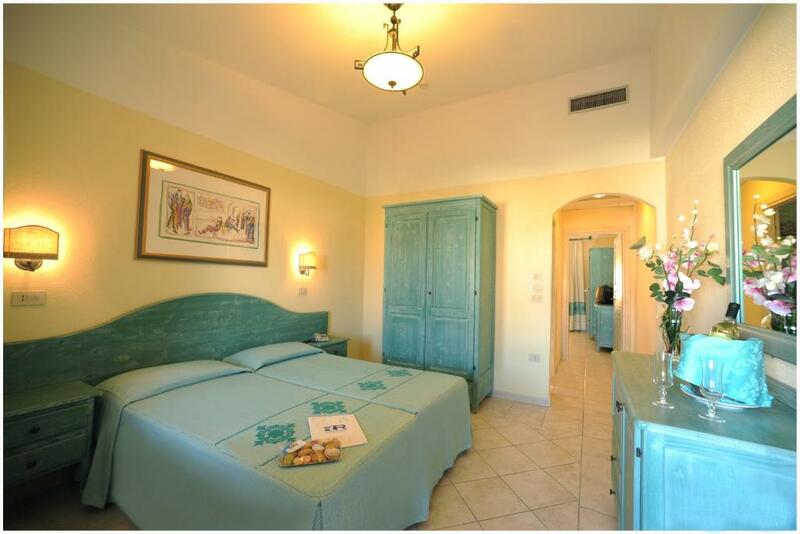 Bellissimo apart-hotel!!! Struttura accogliente e comoda!! Posizione perfetta per visitare le spiagge fra le più belle dell'isola! Staff molto gentile e disponibile. Assolutamente consigliato! Lock in a great price for Hotel Residence Cala Liberotto – rated 8.7 by recent guests! 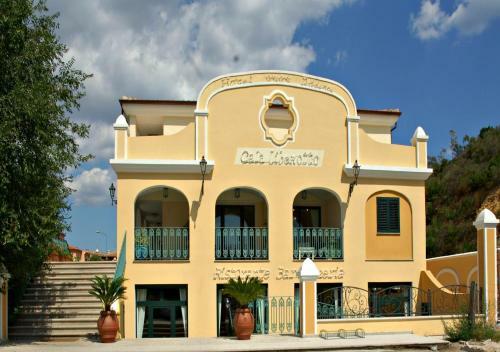 Hotel Residence Cala Liberotto This rating is a reflection of how the property compares to the industry standard when it comes to price, facilities and services available. It's based on a self-evaluation by the property. Use this rating to help choose your stay! 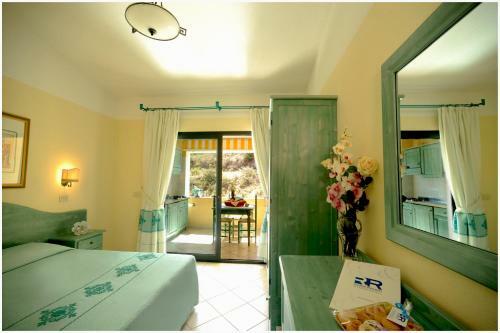 One of our top picks in Cala Liberotto.Set in the village of Sos Alinos, Hotel Residence Cala Liberotto offers air-conditioned apartments with a private furnished veranda. White sandy beaches at Cala Liberotto bay are 0.6 mi away. Lobby Wi-Fi is free. Apartments at Residence Cala Liberotto have modern furnishings and a kitchenette with stove and fridge. Each includes a TV and safe. Bed linen and towels are provided. In the summer, the hotel's optional club card includes access to the sports facilities, pool and private beach at the Le Palme Club, 2,650 feet away. It is payable by all guests aged 5 and older. Guests enjoy local and national specialties at the hotel's restaurant. The half-board rate includes daily cleaning and changing of bed linen and towels, and house wine and mineral water with meals. 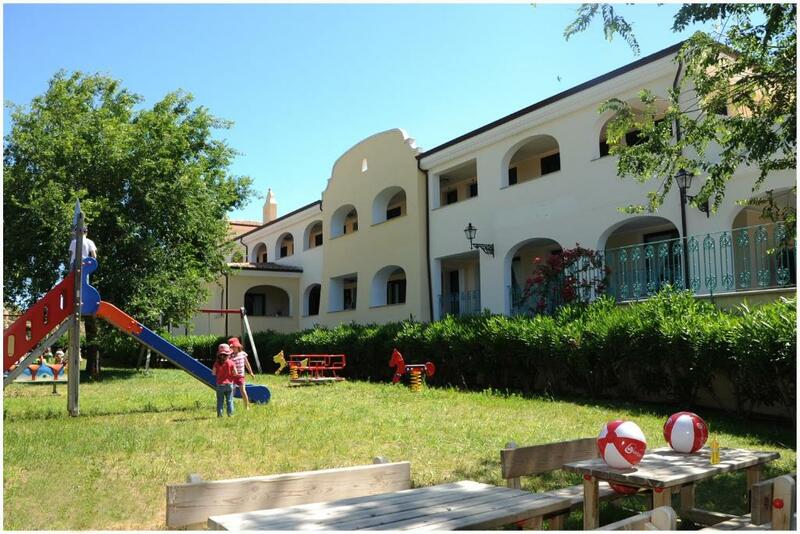 The property is 6.2 mi from Orosei and a 1-hour drive from Olbia. 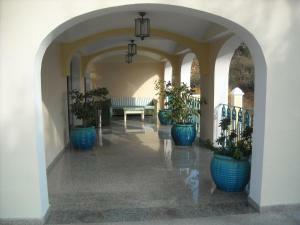 This property is also rated for the best value in Cala Liberotto! Guests are getting more for their money when compared to other properties in this city. 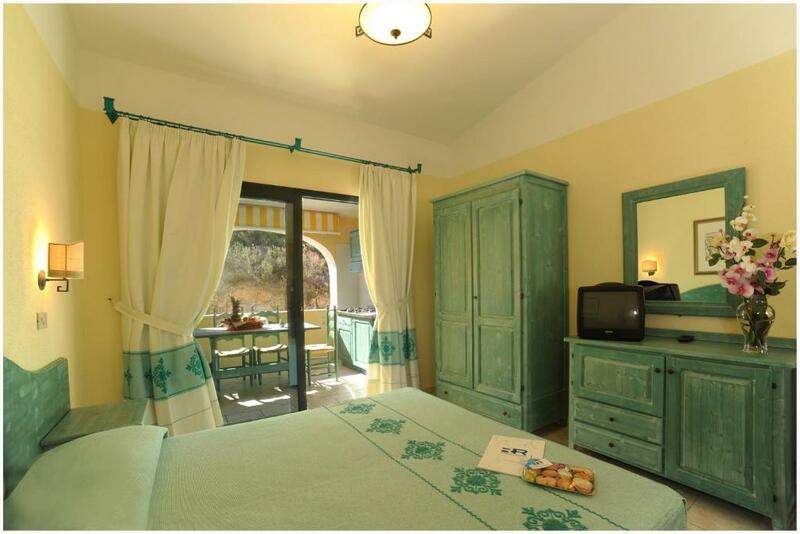 When would you like to stay at Hotel Residence Cala Liberotto? Featuring a covered veranda with table and chairs, this air-conditioned apartment includes a kitchenette with stove and fridge. Final cleaning, towels and bed linen are included. The kitchenette, fridge and kitchenware must be left clean. Otherwise, a final cleaning fee applies. House Rules Hotel Residence Cala Liberotto takes special requests – add in the next step! ATM card Hotel Residence Cala Liberotto accepts these cards and reserves the right to temporarily hold an amount prior to arrival. Hotel Residence Cala Liberotto accepts these cards and reserves the right to temporarily hold an amount prior to arrival. There was no breakfast available , no cleaning service (in 7 days not even the towels were changed) , no wi-fi , no phone signal , tv only had 3-4 channels. We missed the wifi in the room.. The cleaning service is not included in the price of the room, it must be paid separately. The staff in the restaurant not very friendly. Breakfast can be improved, not so many options. WiFi is NOT available in the room - it works only near reception. It's hard to communicate with the staff in English.